Thank you so much to all those who have been supporting our project, who have been by our side and encouraging us. We are moved by this wave of solidarity and positive energy! 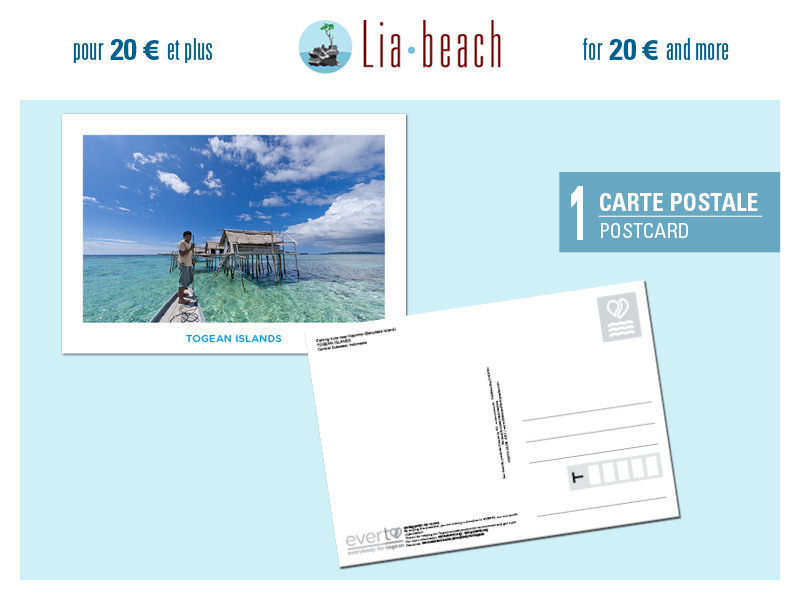 We're half way through the campaign, and have raised enough funds to ensure the minimum basis: the construction of 2 bamboo bungalows, the drilling of a freshwater well, and the construction of a jetty avoiding boats to damage the coral barrier just outside our bay. Solar energy is one more step on our ecological journey. Using a renewable energy (instead of a generator powered by gasoline) can allow us to reduce our greenhouse gas emissions, mainly responsible for climate change. 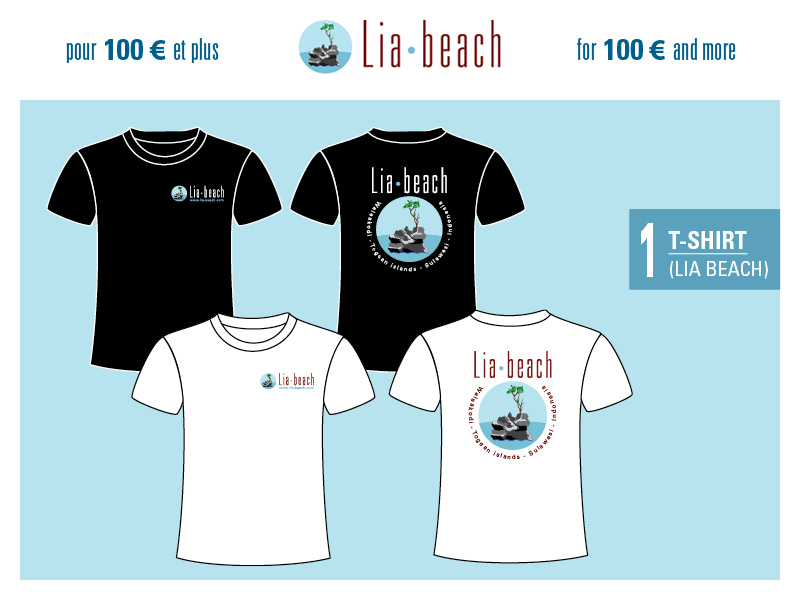 We need less than €2200 to make it. 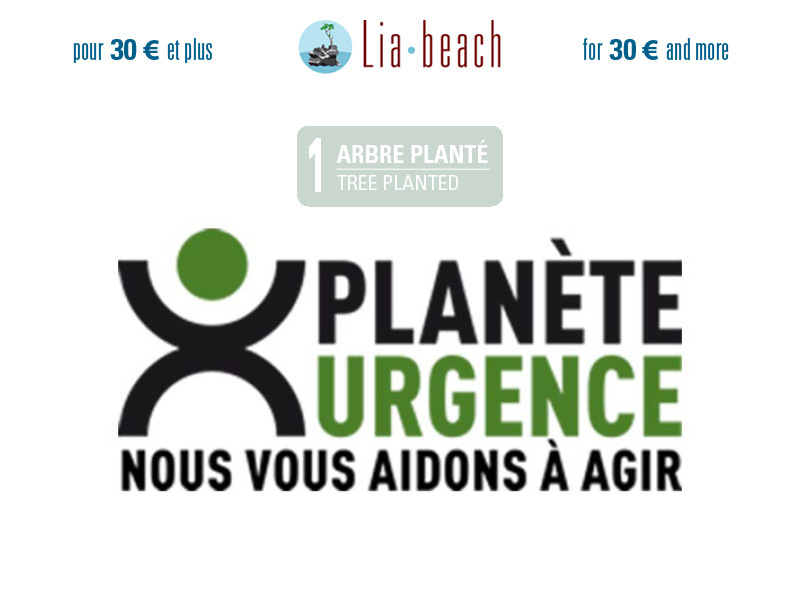 With your support, we can join the global movement for a greener and cleaner future! And by supporting us, you can join it too! Make a difference, jump in! 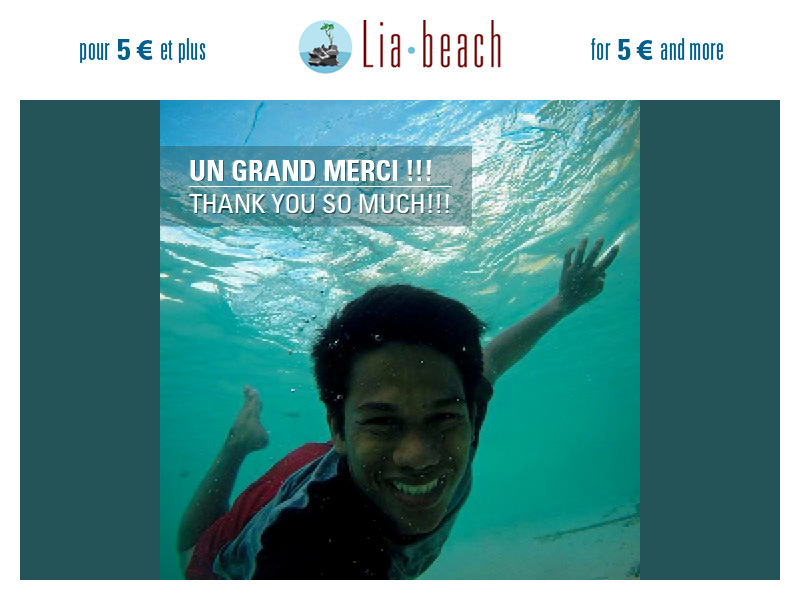 Lia Beach is the story of a French-Indonesian couple who still believes we can change the world. 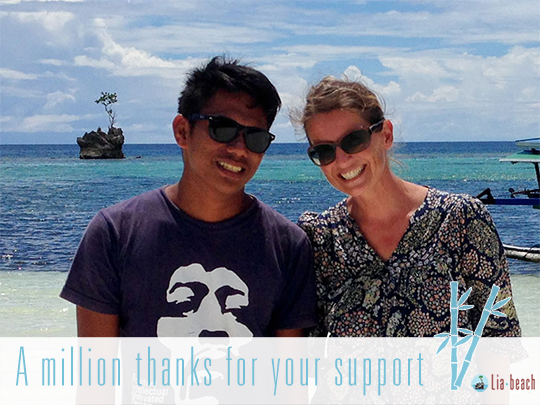 It’s been almost 4 years since we (Marion and Epo) started volunteering for EVERTO, an environmental non-profit organization created by Marion in the Togean islands (Indonesia). For 4 years we’ve been fighting for ecological awareness. For 4 years we’ve been observing that when setting an example, change is possible. Slow but possible. The Togean islands, a remote archipelago right out on the big Sulawesi island, Indonesia (here's a little Google Map to help you out). A timeless space, without cellphone/ internet network, without roads, and often without electricity and running water. 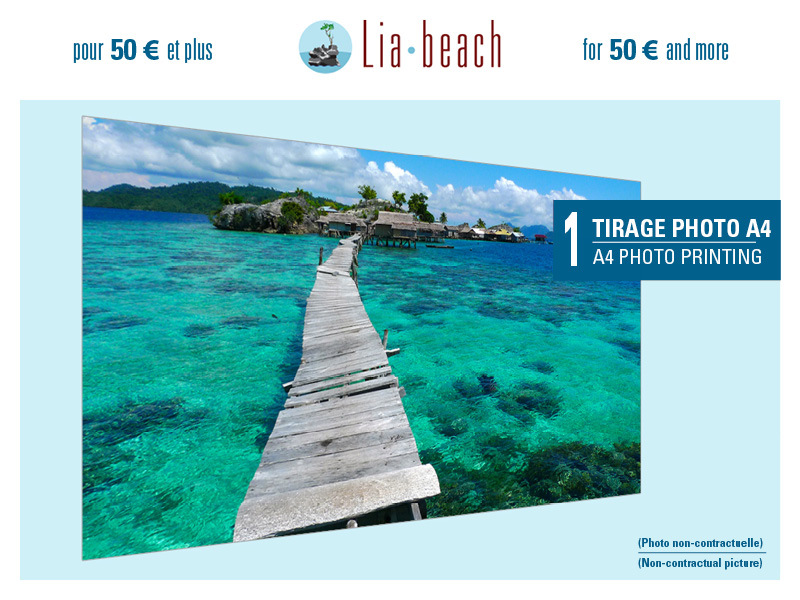 A region of a breathtaking beauty, located in the heart of the Coral Triangle. An area unfortunately threatened by scourges ravaging all South-East Asia: garbage, dynamite fishing, and plastic kingdom. EVERTO works on environmental protection and creation of eco-friendly jobs. Waste management, environmental education and plastic waste recycling are its main activities. 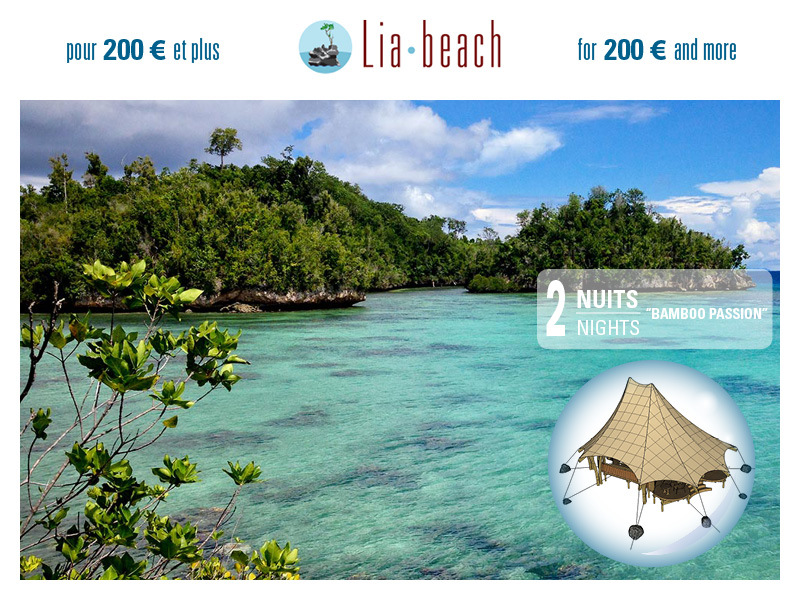 Lia Beach was born from a dream and a challenge: fed by our experience at EVERTO, open a cosy and eco-friendly resort (a few bamboo bungalows on a white sandy beach) in order to develop a responsible and social tourism benefiting local communities, while reducing our ecological footprint. To travelers looking for an escape, off the beaten tracks. 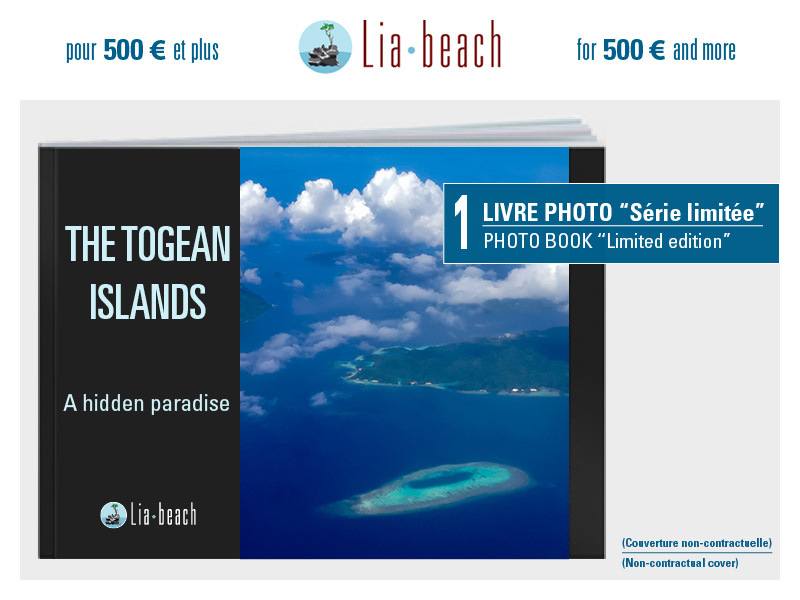 To Robinson Crusoe who, just like us, are nature lovers, and want to discover the marine and land fauna and flora of this luxuriant archipelago. To low and medium budgets: we are not making a luxury resort (nor a tourist factory for that matter). 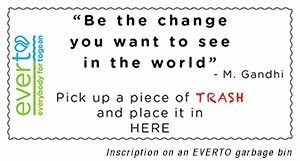 And mostly to all those who believe that every little bit helps and that we can only make a change by setting an example! We are committed to using as many locally sourced materials as possible. Note: we use about 5% of cement and steel bars (reinforced concrete) for foundations. Our project is based on the development of social and solidarity economy, and community empowerment. For the buildings conception, we have called on Indonesian bamboo specialists (from Bali and Central Sulawesi). Their intervention includes the training of a local team to bamboo techniques, so that Togean artisans can get new skills. In the future, we will include local communities in our activities. 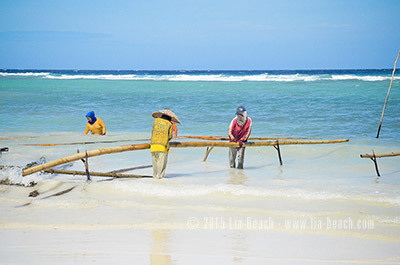 For example, it means buying our fish from local fishermen or call on surrounding village people to take our guests around (snorkeling trips, island hopping). The idea is to let them profit our little company, so they understand the interest of protecting their environment. On the job creation side, we hire locally, and wish to improve our staff’s working conditions: higher salaries, implementation of weekly holiday and employee savings scheme. Going back over and adapting in the Togean islands ancestral techniques of bamboo treatment and use to modern design and issues has turned out to be more difficult than expected. Despite all its qualities, bamboo also has a lot of important drawbacks: it is sensitive to sun, humidity and xylophagous insects like termites. Modern and/or chemical treatment solutions would have allowed us to finish the works quite fast, but we’ve decided to use natural and traditional techniques, which are also cheaper. 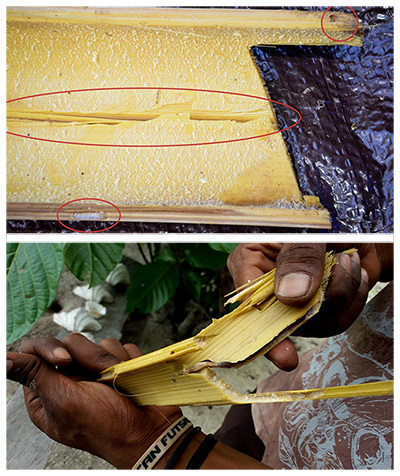 We soaked our bamboo in seawater for 3 months, to reinforce it and get rid of its glucose (glucose attracts termites). For optimal soaking, it’s recommended to drill through the center of the bamboo poles throughout their whole length so that they can sink, and then to immerse them by ballasting and tying them up. Marine life installs progressively on immersed bamboo (sea grass, moss, shells, crabs, etc.). The layer being rather thick, scrubbing takes a lot of elbow grease, thus manpower. In a vertical position, away from sunlight, rain and soil humidity. Duration: about 3 weeks to get a 70% drying, making the bending easier. 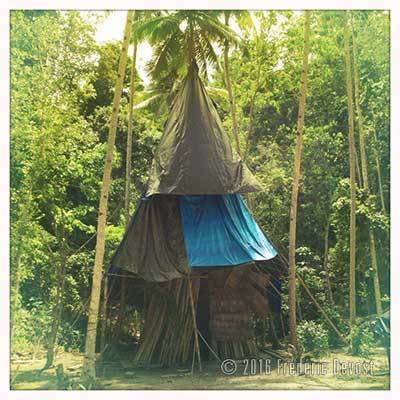 Here’s our "bamboo temple" (over 16-meter high). For the last few months, we have been dedicated to the bamboo treatment, with local teams hosted on site. Unfortunately, the 3-month seawater-soaking rule recommended by our Balinese architect doesn’t seem to apply in the Togean islands. We have learnt it at our expense; the archipelago’s waters are full of shipworms (kind of termites of the sea), digging galleries in bamboo that has been soaking for too long. And 3 months are already too long. Long story short, most of our bamboo has been attacked: only 45 poles out of 2148 have been spared (the ones prematurely taken out of the water). We just spent several weeks checking our bamboo poles one by one, sorting them according to their condition. We now have to determine, with the help of bamboo experts from Tentena (an area close to the Togean islands), the actual percentage of usable bamboo. 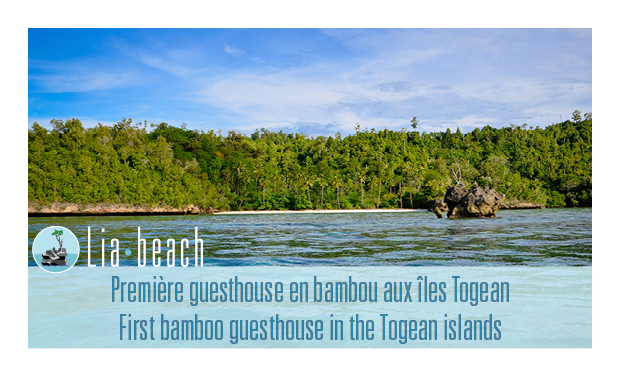 Being the pioneers of bamboo construction in the Togean islands, we have faced the teething problems of a general lack of knowledge and experience, making it impossible to anticipate costs in a realistic way. While bamboo itself is affordable, the long process explained above adds to the overall bill, having to be adapted to a remote island context: bamboo isn’t found in plantations but naturally scattered on different islands, adaptation of planning to local activity of rare inhabitants, weather conditions sometimes preventing us from going to sea, difficult equipment supply (about a 12-hour journey from island to mainland)… In short, little hazards and hitches specific to this kind of works can easily become a headache, even if we anticipate… And that doesn’t take into account that a big part of the investment has been eaten by shipworms. Let’s mention another disappointment, concerning our fresh water supply: the well we dug in April 2015 has become salty due to the extreme drought Indonesia has suffered since summer 2015. We now have to consider digging another well. As a result, from the original project including 5 bungalows and a restaurant, we’ve had to revise downwards over the problems and unexpected expenses. We are now only building 2 bungalows. 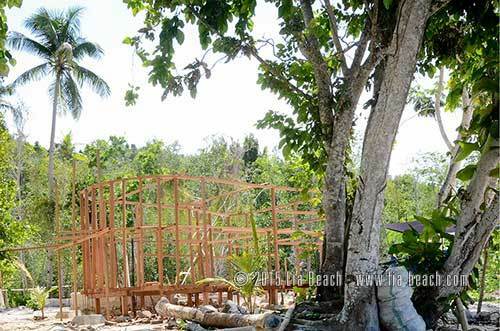 Upon opening, along with the 2 bamboo bungalows, we’ll be renting the 4 temporary wooden rooms we’ve built for the construction team, and will offer a basic (but sheltered) dining area on the beach. The foundations as well as floor and wall structures for our 2 bungalows were done in November - December 2015. We’ve also started making the bathrooms and the septic tank. We now have to start the bamboo part: roof structure, wall finishes, and furniture. And then lay the roofing (sago leaves) and dig a new well. Visit our Facebook page to check out more pictures of the construction work. To help us finish building two bungalows (double rooms), et get a fresh water supply on site. We have already self-financed a very big part of the project: land purchase and cleaning, digging of well and pumping system, purchase of generator, construction of temporary rooms for laborers + temporary kitchen and bathroom to be used during construction, architect service, material and tools supply… as well as all local manpower participating in diverse works (from bamboo treatment to foundations, and including site settlement works). But it’s not enough to open Lia Beach. 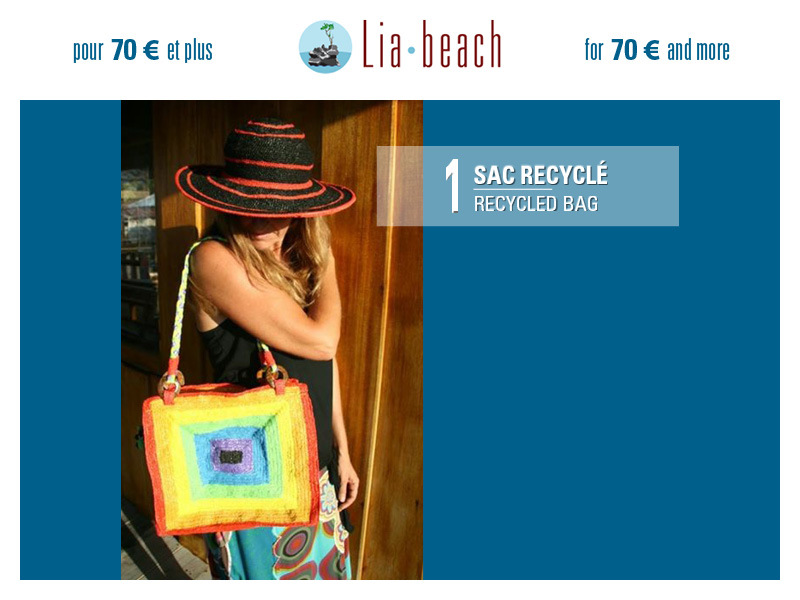 All in all, we need € 6000 to be able to successfully complete our project. 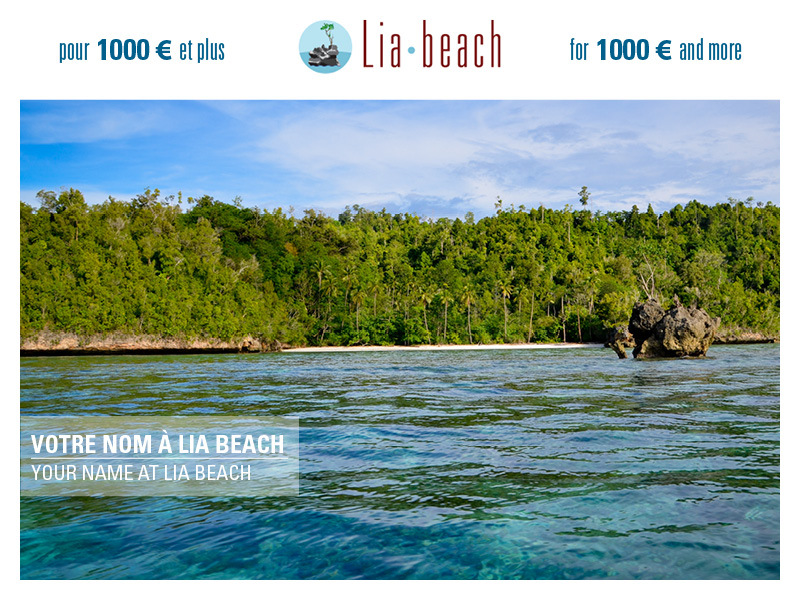 Our objective is to open Lia Beach in Spring 2016, to quickly get some income and meet our commitments to the locals joining the project. We are so close! Construction of the extensions (restaurant & additional bungalows): €€€! 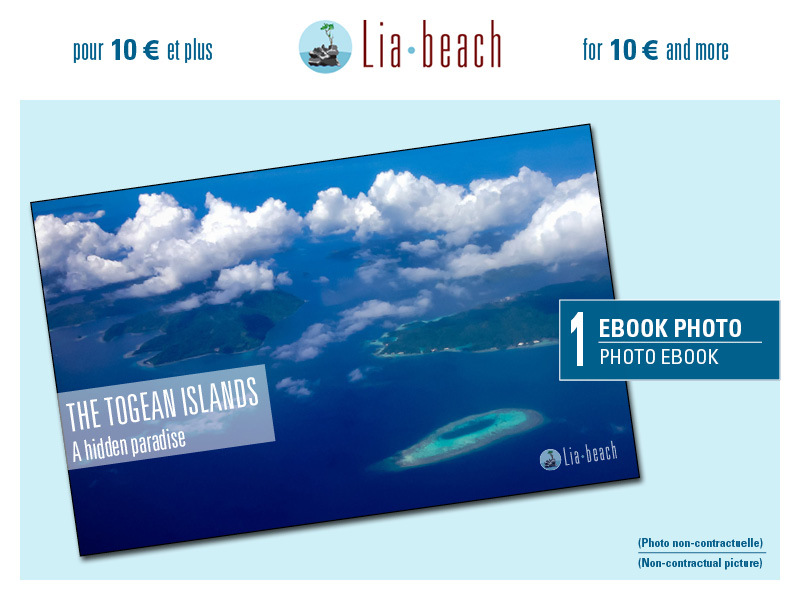 Together, we can bring Lia Beach to life and start making a necessary ecological change in the Togean islands. We know that by setting an example, others will follow our path. We still believe in it. Do you?